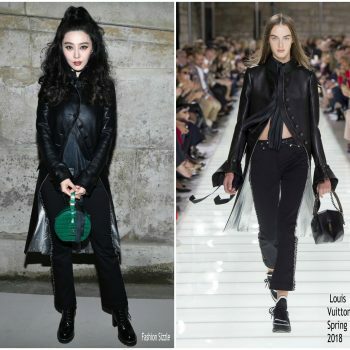 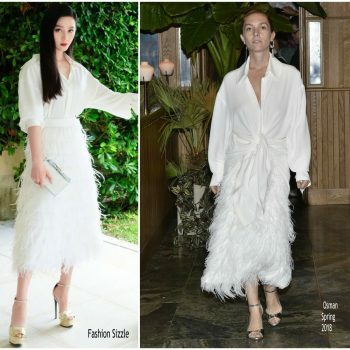 Fan Bingbing wore an Osman Spring 2018 satin shirt + ostrich feathered skirt to the 355 Movie Photocall during the 2018 Cannes Film Festival. 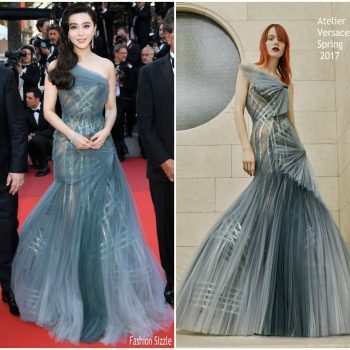 Fan Bingbing promoting 355Movie during the 2018 Cannes Film Festival. 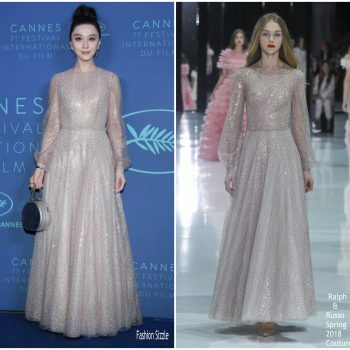 She wore a Givenchy Spring 2018 Haute Couture . 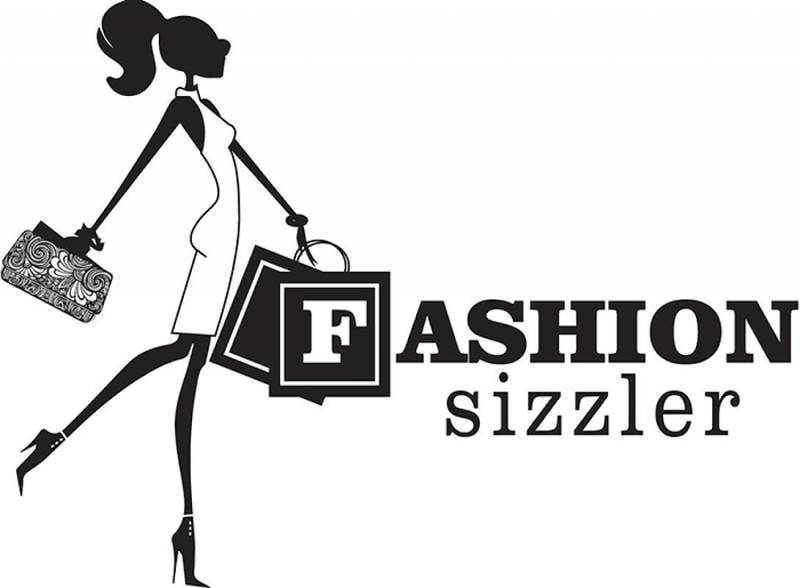 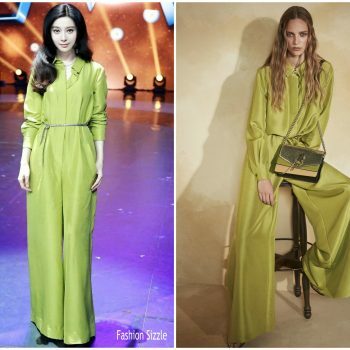 She's also wearing Casadei pumps. 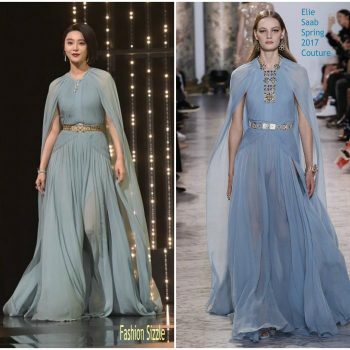 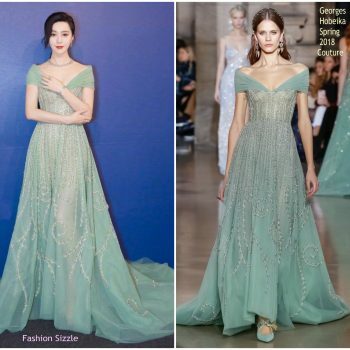 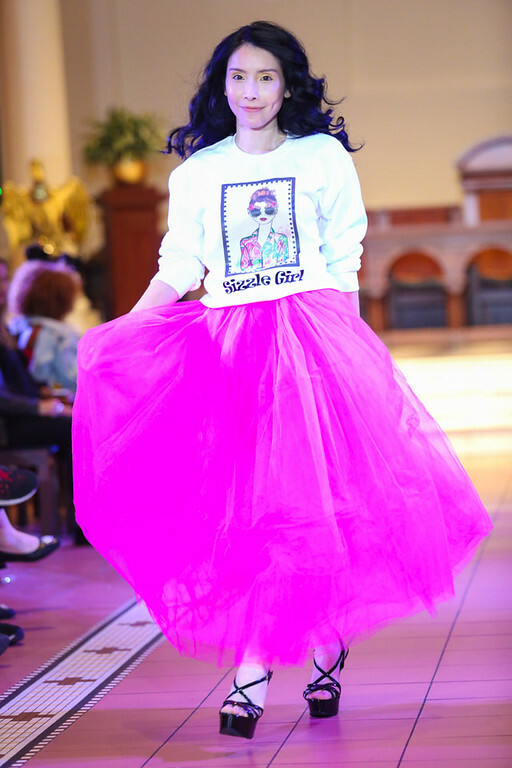 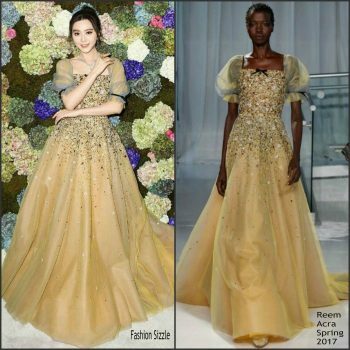 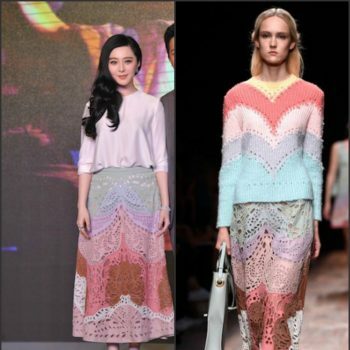 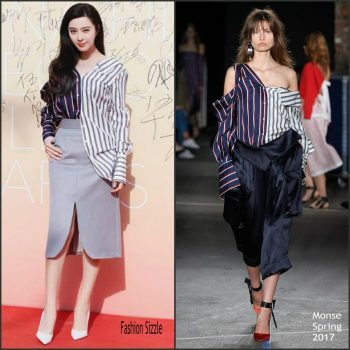 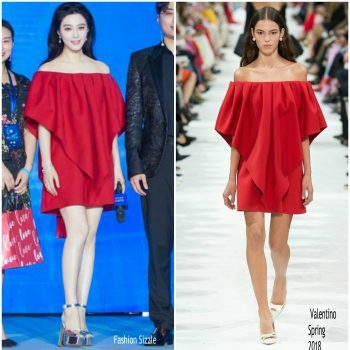 Fan Bingbing was in attendance at CHINABEST Press Conference She is wearing an off-the-shoulder Chicco Mao Spring 2018 dress. 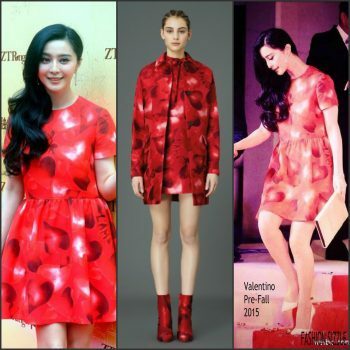 Fan Bingbing attended the RIIFO GROUP Press Conference: She is wearing a red Valentino Spring 2018 dress. 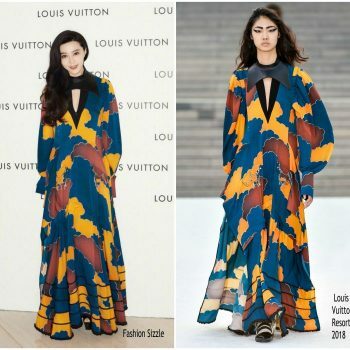 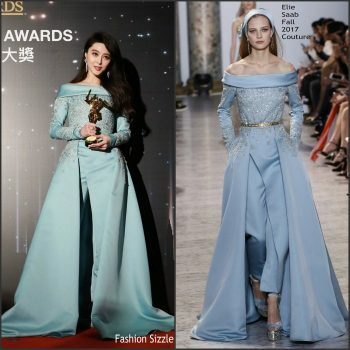 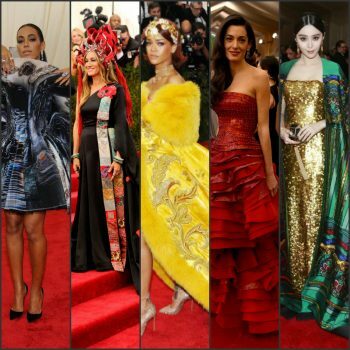 Fan Bingbing attended the 2018 Youku Young Choice Ceremony on Friday (March 30) She is wearing a Alexander McQueen gown. 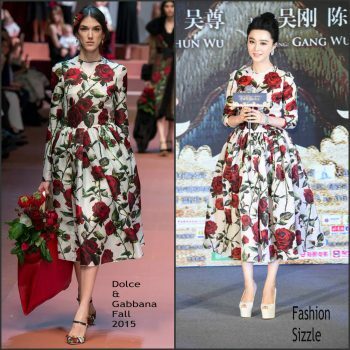 Fan Bingbing was in attendance at the Amazing Magicians event. 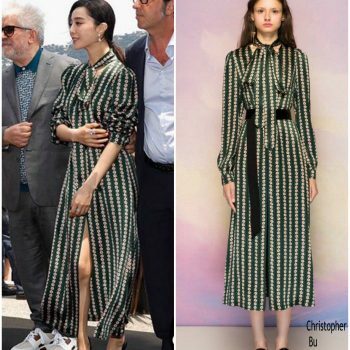 She is wearing a Alberta Ferretti Resort 2018 design. 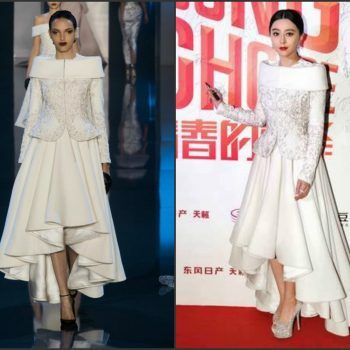 Fan Bingbing was in attendance at the 15th anniversary celebration of cosmetics brand Manting on Thursday (August 10) in Beijing, China. 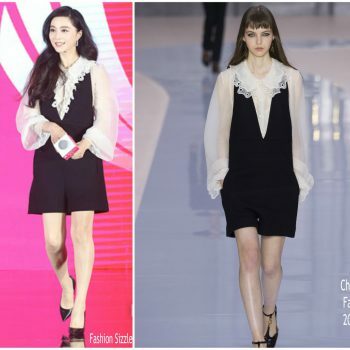 She wore a black and white Chloe Fall 2017 mini dress . 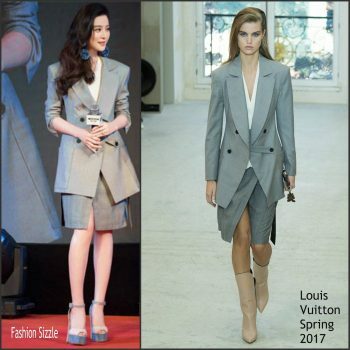 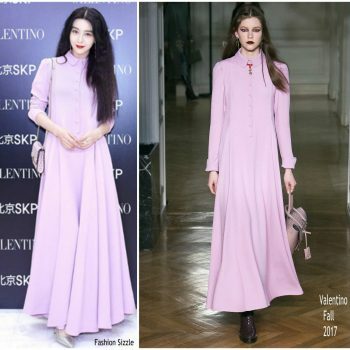 Fan Bingbing attended the Valentino’s ‘I Love Spike’ exhibition in Beijing on Wednesday (August 9) She wore a lavender Valentino Fall 2017 dress. 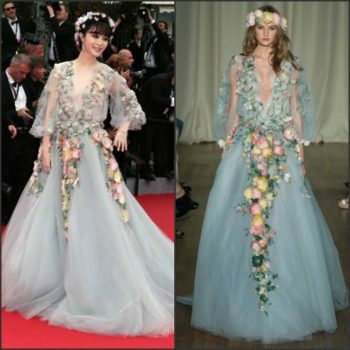 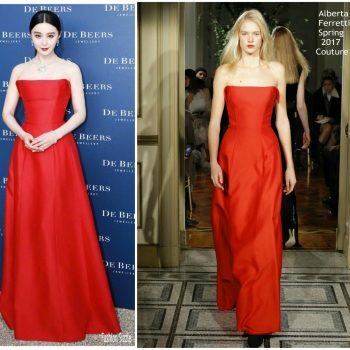 Fan Bingbing attended and was the guest of honour for De Beers party in Paris on Tuesday (July 4) She wore a red strapless Alberta Ferretti Spring 2017 Couture dress. 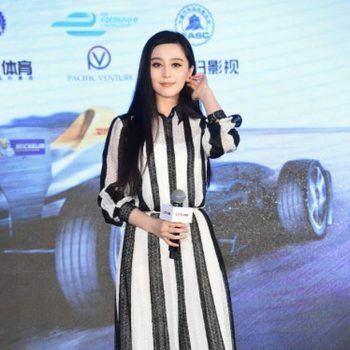 Fan Bingbing was in attendance at the press conference for popular TV series ‘The Amazing Race China 4’ on Sunday (June 11) in Beijing. 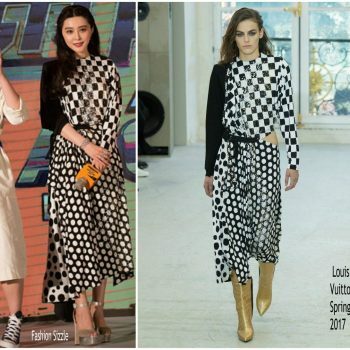 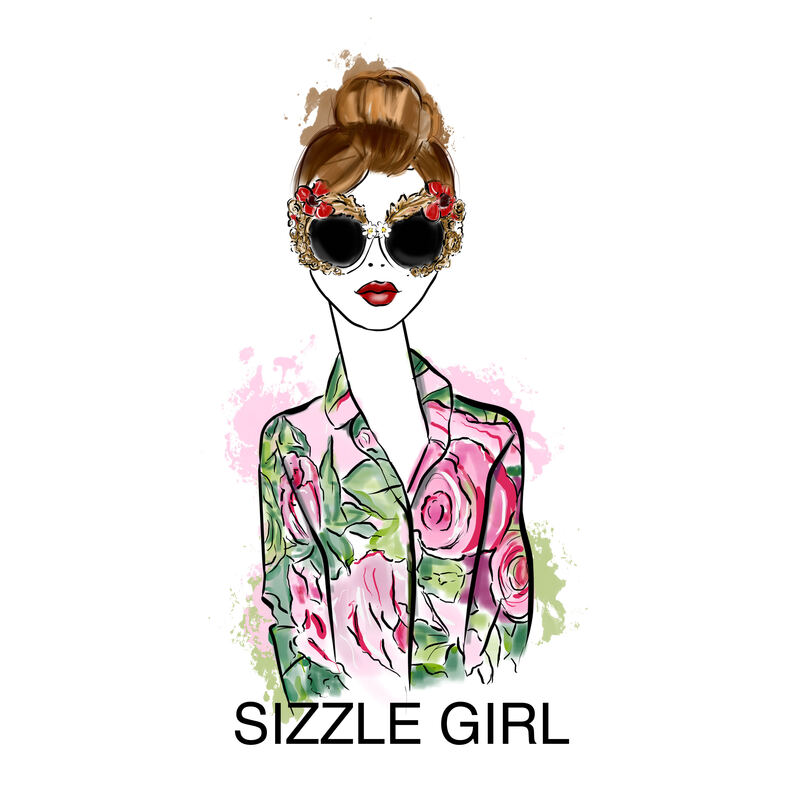 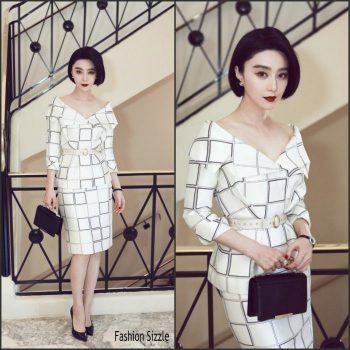 She wore a black-and-white Louis Vuitton Spring 2017 design. 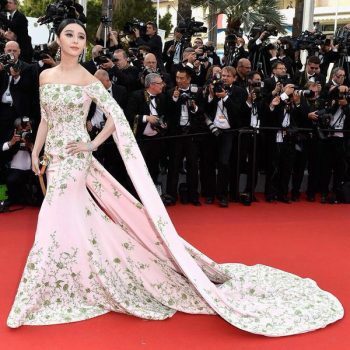 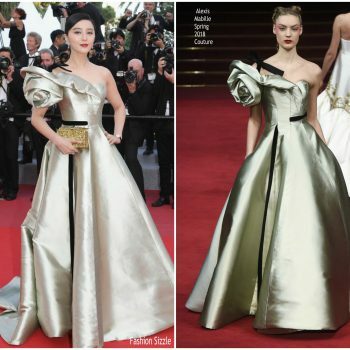 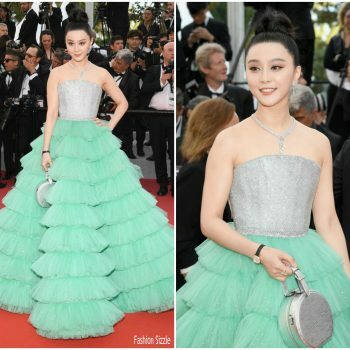 Fan Bingbing was in attendance at the The Beguiled Cannes Film Festival Premiere. 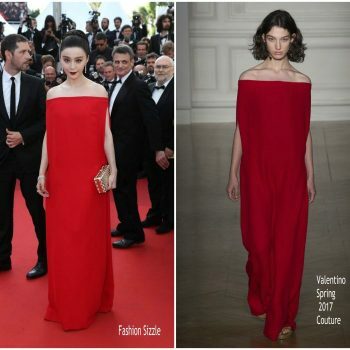 She wore a red Valentino Spring 2017 Haute Couture gown . 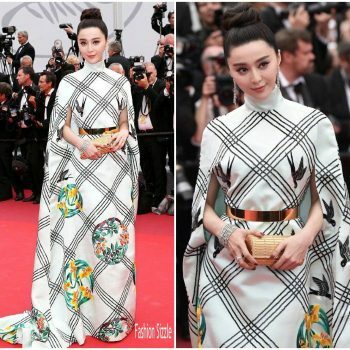 Fan Bingbing attended the 70th anniversary celebration of Cannes Film Festival this evening (May 23). 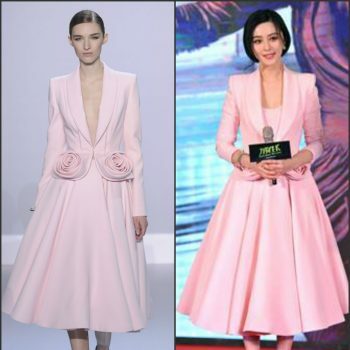 She wore A pink Louis Vuitton Resort 2018 custom gown. 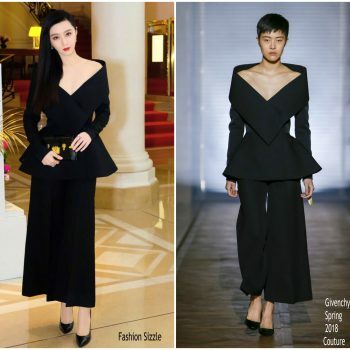 Fan Bingbing attended the Givenchy Wuhan International Plaza Store Grand Opening on April 21, 2017. 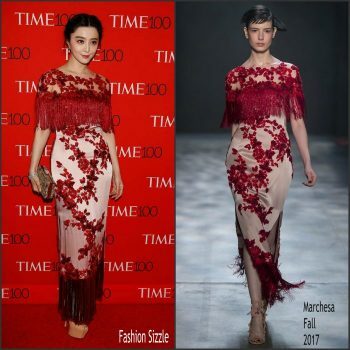 She is wearing a red Givenchy Fall 2017 design. 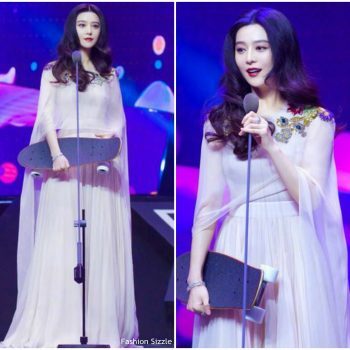 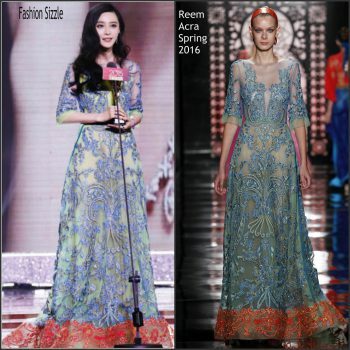 Fan Bingbing was in attendance at 2016 Youku Y Choice Awards. 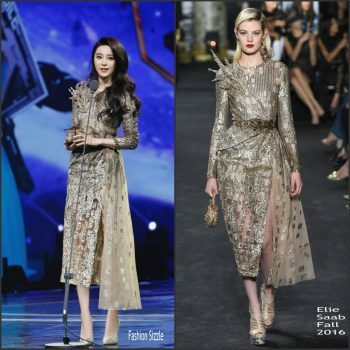 She wore an Elie Saab Fall 2016 Haute Couture embellished gold dress .